Definition at line 31 of file symlink.c. Definition at line 211 of file symlink.c. 227 eprintf("handle_symlink: attempting to create a symlink when "
228 "the file=%s was already created on open; sending REMOVE "
Definition at line 272 of file symlink.c. Definition at line 146 of file symlink.c. Referenced by handle_getattr(), handle_open(), and lookup_symlink(). Definition at line 92 of file symlink.c. 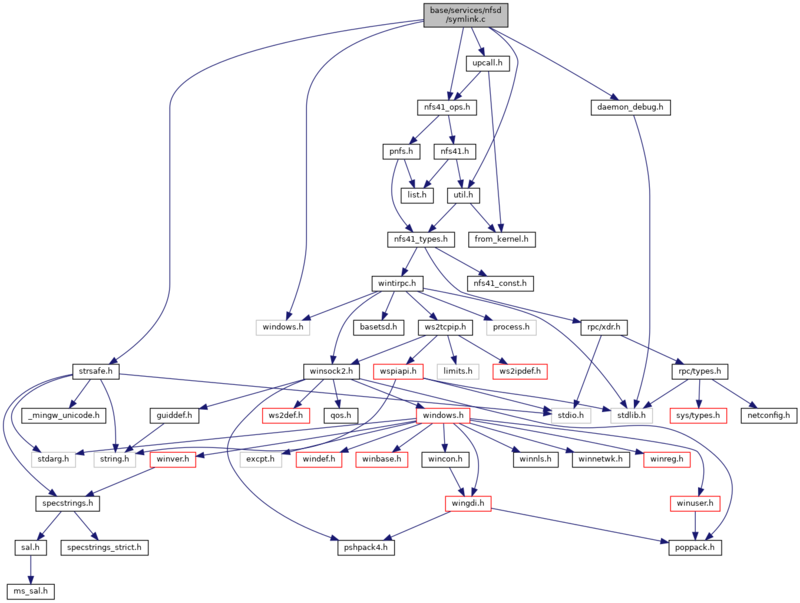 Referenced by handle_open(), and nfs41_symlink_follow(). Definition at line 190 of file symlink.c. Definition at line 295 of file symlink.c.